The BoBunny Blog: Last Day of CHA Sneaks...Rejoice! Last Day of CHA Sneaks...Rejoice! This elegant collection makes me swoon! Take a look at Rejoice. Well, that's it for the sneak peeks, which one was your fave? Or is it too hard to pick haha! Leave us a comment for a chance to win Rejoice! Winners announced Monday! Absolutely gorgeous collection! Love the Petals, the stamps, the card kit, well, Loved all of it! Rejoice is hands down, my fave. Thanks for the sneak peeks! Beautiful collection. Love the stamps and tags that go with this collection!! Loving this line. The embellishments are out of this world! Absolutely GORGEOUS!!!! I have so many Christmas photos I can envision on here!! LOVE IT ALL!!!! This is so my kind of christmas stuff! It's gorgeous! Ahh, this is MUCH more my style! Love everything about it! Just beautiful! Love the traditional colours! Another great Christmas line!! Will be tough to pick one this year! I love the Harvest and Rejoice collections. However, I think the Detour collection is my favorite because I have so many travel photos to scrapbook. My favorite part of the rejoice collection is the Rejoice page...love that! I love all of the accessories and there are such a lot of them too. Definitely the card kit! I think I can I think I can I think I can get my cards done early this year IF I get this amazingly beautiful kit! But it all shines with Bo Bunny goodness! Another beautiful collection! The fonts in this set make it look so elegant. And the embellishments are just amazing! falalalala la la la la. This is so beautiful! I'm always partial to Christmas collections because it's my absolute favorite time of year! Love the embellishments, too!! Love Christmas! These are perfect! I love the traditional colors,the flourishes, the embellies...now I am really inspired to scrap those photos from last Christmas! Just beautiful! Christmas in July! Great Paper! So elegant and classic!! Love it all but my 2 fav things are the buttons and the mini! 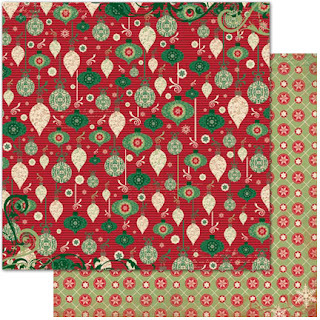 Love the rich reds and greens with the golden beiges - makes such an elegant project! This line is so beautiful! I love the embellishments! Christmas lines always lure me right in! Fabulous merry new collection! Can't wait to work with this. Oh boy, another to choose from. Wonderful! I'm already thinking about the cards, mini's, and projects I can make. Thank You for the peeks and inspiration. This line will make great Operation Write Home cards! This is so very elegant and I know I will be waiting in line at my lss to pick this up when it comes in. Each day I thought that the collection you showed was my favorite and then we get to today and my thinking is no different. I think today's collection is my favorite! That is unless you are going to be showing us more! Christmas time is my favorite time of year and this is my favorite collection. Alway have to have the BoBunny Christmas collections every year and this year will be no different. Thank you BoBunny. Great collection. I can see my pics from last year scrapped with this. Thanks for all the sneak peaks. Another beautiful line, I just love it. Wow! This line is gorgeous. Thanks for the chance to win! What a Gorgeous gorgeous line....love the distressing, swirls, and snowflakes - all the best summed up in one line! Very lovely!!!!. Thanks for the chance! Very pretty traditional Christmas line. My favorite of the week was Apple Cider. Beautiful line, so pretty and elegant! My fave? That's easy......Bo Bunny!!! I loved every bit of it and now I need to win the lottery so I can have it all at once!! Rejoice Greatly! This is a beautiful Christmas collection. Thanks for doing another of your wonderful greeting card kits for this line. Oooh, great collection! You always have the best embellishments too. "Rejoice" and give thanks for such a beautiful collection! BoBunny definitely knows how to dress up the holidays with gorgeous designs!!! Hard to choose, but I think my favorite is Apple Cider. But I love your new laces too. Love all the flourishes in this one! Can't pick a fav, I think they are all lovely. so pretty! Can't pick a favorite I love them all. 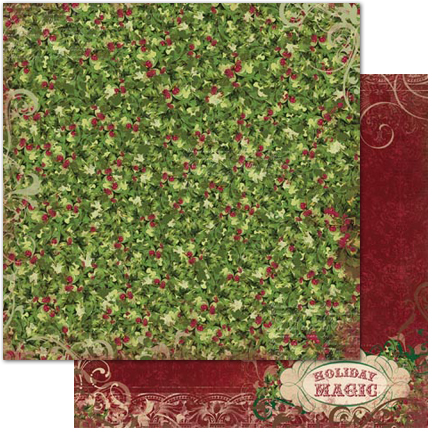 So pretty greenest greens and the reddest reds, just the way a Christmas collection should be! I didn't think your new releases could get any better, and then seeing this they just did. This collection is gorgeous. I love it all. I love the more traditional look of this collection. LOVE this line! Thank you so much! I'm so excited to see it in my LSS! Wonderful collection! Can't wait to see it in the store! This is so gorgeous. It is here a warm an sunny day but and I was making a christmas card today, inspired by al the beautyful papers you showed us. Everything is so wonderfil! I love the mini album. Mistletoe is so cute....think I'd have to pick it as my fav. Another beautiful collection! And the embellishments are just amazing! Very elegant, I love the colors in this collection. I love the muted colors of this collection. I think Mistletoe is my fav of all. Wow! This is gorgeous! Love this collection! It's definitely too hard to pick a favorite new release this time around! Rejoice is beautiful, and it is actually one of the words I am considering for next year's "one little word" that I focus on. Love every little bit of the Rejoice collection! You have done a great job bringing us new products once again! this would be perfect for my December Dailies. Awesome! Gorgeous! Like so many Bo Bunny collections. having a Christmas one would make my process so much eaiser...and more fun! Beautiful word choices! Very elegant and festive! LOVE, LOVE, LOVE this one!!! Christmas is my favorite winter Holiday!! Just beautiful!! Traditional, cozy and gorgeous! The ideas are flying!! I need nd want this!!! I love this whole collection. I can't wait to get it. I love the vintage look and those stamps are amazing. What a fun new collection! Love the red and green and fabulous designs! Very traditional and vintage--very nice! Beautiful collection!! I love everything about it! Looking at it makes me wish Christmas was today! Love this tradition vintage look! The stamps are awesome!! My favorite is this Rejoice line. I love the rich colors & patterns. 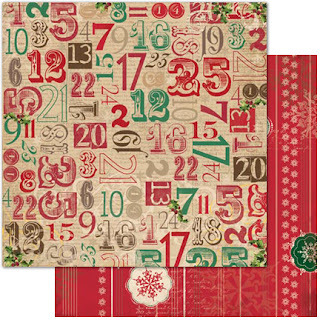 OH I do so love the Christmas collections, all of it together is just so amazing and inspiring to want to work with!!!! I absolutely love this new line. Thanks for your continued beautiful designs. I like that these colors go with some of the older Bo Bunny Christmas papers. serenade, apple cider and mistletoe are on my must-have list! Beautiful collections! And love the lace! Love the colours, the flowers trinkets and buttons. The mini album is awesome too! Rejoice is definitely my favorite - gorgeous! Especially love the religious images and song titles. I can see why the Rejoice collection makes you swoon. I love the entire line, especially all of the embellishments. Another beautiful Christmas collection. Thanks for the chance to win some. Love this new Christmas line. 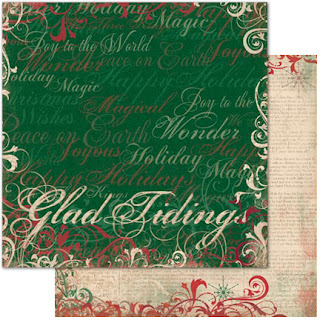 Perfect for my Christmas layouts and cards. Thanks for the chance to win. What A BEAUTIFUL COLLECTION! Every year I look forward to your many collections but the Holiday one is my favorite of all. And every year you outdo the previous year(s)! I'm so amazed how versatile it is for vintage & newer photos!lOVE, LOVE, LOVE IT!!! I love this collection, definitely my favorite of the ne collections you have shown. Wow, which to pick they are all fabulous. Loving all the embellishments and you guys went all out. The best travel collection I've seen in a long time! Another great collection. Hard to pick a favorite. I love all the new ebellies! 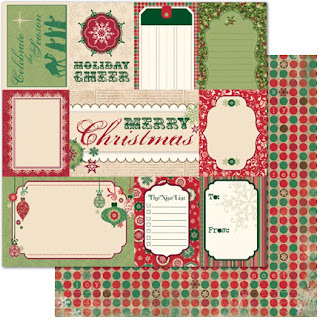 I love Rejoice, but I have to say the paper pads of the Double Dots is my fav! Very old-fashioned and elegant. Wonderful embellishments--love the trinkets and the stickers. The Mini Album looks wonderful too. GREAT Job!! Swoon is right! I love the Rejoice line .... so traditional! Can't wait to see it on the shelves of my LSS! This is really pretty but Mistletoe is my fav. w/ Apple Cider running close behind. Y'all have come up with some wonderful collections this time around- AGAIN. I love it! I love it! I can't wait!! Simply lovely. And inspiring! Thank you so much for the chance to win! Wow...another gorgeous Christmas set....LOVE the colors on this one! Beautiful and classy... I could definitely find myself using this! I already have plans for my Christmas photos on that beautiful mini album! As for my favorite, I can't decide, it's too hard to choose. I'll be getting it all. I love all Bo Bunny!!! This collection is beautiful and very elegant! 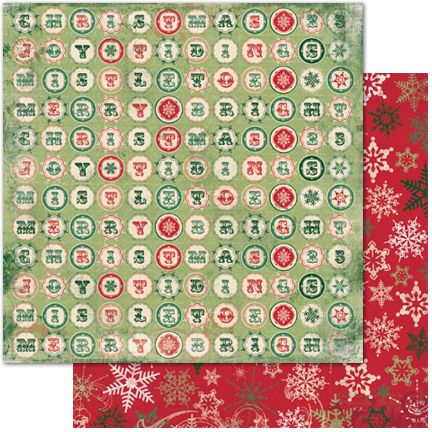 Will be excellent for cards and Christmas projects this year!! 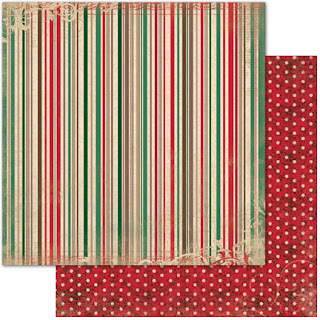 Whoa - flashback to 2008 and your Beleive collection - but I love the colours in this line, for sure my favorite of the two Christmas lines. Thanks for the chance to win! a beautiful line for christmas ! thanks for all this ! Wow! that is gorgeous line! These are simply the yummiest Christmas papers I've ever seen! WOW!! Simply stunning, I can't choose a fave part of this collection because it's all just too gorgeous, every piece of it! Love the colors, the ideas how the pieces fit together and even if you chose to just use one thing on any given project it would pop & stand out I reckon! Thanks for the opportunity! Beautiful, beautiful collection!! :) Love it! 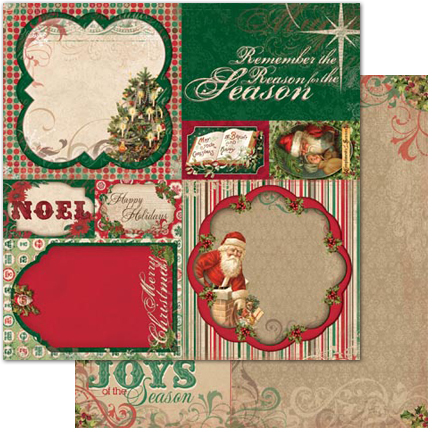 Beautiful collection with classic Christmas colors. Beautiful. Not sure that I can say I have a favorite. The Apple Cider was great for fall, loved the double dots, and the Christmas ones were all beautiful. It is a toss up-I guess I have to have them all. Rejoice is just beautiful! I really LOVE the collection of colors in this line! Awesome Collection, impossible to pick a favourite, I want them all!! 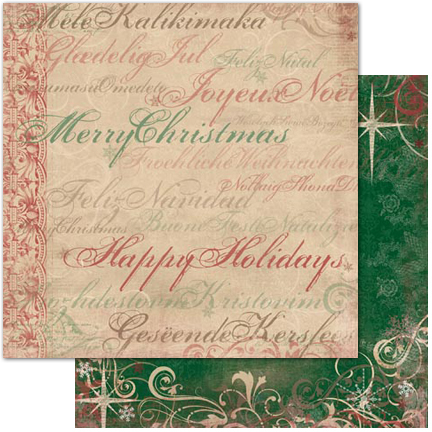 love this vintage christmas collection..so pretty! Wow, very elegant! Love the stamps! This is so "me"! 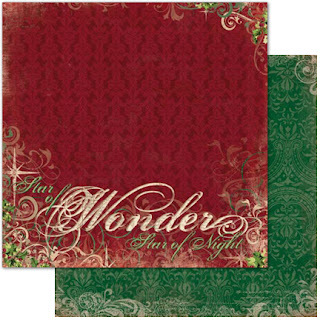 I am already making plans for my Christmas cards and layouts and really love the tags! It will be impossible to choose between the 2 Christmas collections. Guess I'll have to have BOTH - heehee. Can't wait! I love the whole line! Very excited to see the traditional colors of Christmas used throughout the whole collection! Gorgeous and Elegant, very nice! Love these Traditional colors with the vintage-y feel! Also like the lighter green used with the darker spruce green! It really makes the colors POP! 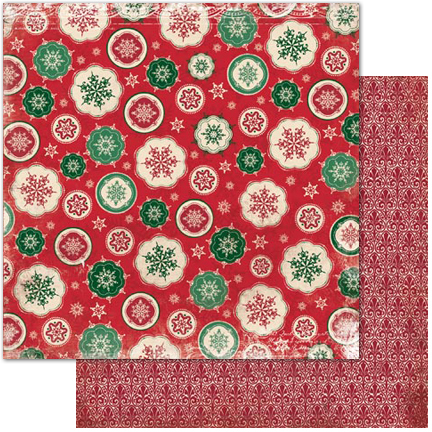 This collection would be perfect for making gift boxes, tags and Christmas home decor. Beautiful! I would be rejoicing to scrapbook with this line! It's so festive and beautiful! Love these vintage colors, the stamp and card set! You had me at Rejoice! I have so many Christmas pictures that are crying to go into a layout. I'm so glad to see a new line. I love it! This is a beautiful collection and i would have to say it is my favorite. I loved them all as always!!!!! Layered embellies are gorgeous! So is the card kit, the tags/album?. How can anyone pick a fave, all are amazing! Rejoice! Rejoice and again I say Rejoice! I love it ALL, especially the mini album. Rejoice! Love this collection! Thanks for the sneak peek! O h dear...what a lovely collection for Xmas! love traditional Christmas colours, so I really like Rejoyce!!! I love all thinghs christmassy.....stunning! Love it!!! Gorgeous as usual. I do believe I'm hearing angels sing while viewing this collection. I adore the classic prints in this line...so pretty! This is a beautiful collection. If it's not too late to enter, I just love it! The stamps are gorgeous! Rejoice! Bo Bunny has Rejoice!! Wow this line is amazing, the colors, designs, the buttons, the brads, the stamps, the bling - this line has it all and it is all gorgeous! Thank you Bo Bunny! This is really pretty! Love the vintagey look! Awesome Christmas collection! I love the petals. I will be looking for this in my nearest craft store. Thanks for sharing! All of this collection is gorgeous! Christmas is my favorite time to scrapbook. Ahh, Christmas is my favorite time of the year. Beautiful collection! Love the mini album! Love, love, love the reds and greens! They're amazing! A must have for my Christmas cards/projects this year! Beautiful collection- I love all the embellishments so much and the deep red and green colors. how pretty is this?? LOVE it!! Lots of great patterns in this line. I love it. Wow - I just love everything about the Rejoice collection - my favourite of the CHA Sneaks! am loving all your collections, but 'rejoice'....takes my breath away! absolutely gorgeous - you guys rock! Love the deep reds and greens in this collection! Very nice! Love, love , LOVE this Collections! You've got me wanting to make my Christmas cards now! 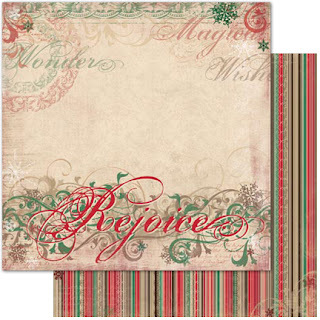 Your collection are collections,they seem to have everything you need.I can see using Rejoice in a Mini Album for the holidays.Would be so fun to work with.As for picking a favorite I really can't they all are unique and wanderful! Absolutely beautiful collection and I love it all!! Wow, what a beautiful collection! Gets me in the Christmas spirit! This is so elegant, I just love this line! Oh WOW!! Am I in trouble once the Rejoice collection comes out!! I have all kinds of ideas spinning in my head for this one. LOVE it!! Oh WOW!! Am I in trouble when Rejoice is released. I have so many ideas spinning through my head!! LOVE it!! Rejoice is my favorite but Serenade comes in a close second! I can already picture my Christmas cards and layout for this year! Beautiful collection! Makes me want to make Christmas cards in July! I thought I loved your Father Christmas line. Rejoice is absolutely gorgeous. Can't wait to get the entire collection to work on my Christmas gifts (which I have already started). I love the traditional colors. Nice collection. Wow, another great collection for my christmas cards! this is an absolute winner. love the elegant feel, the traditional colors and the special bo bunny embellishments!!! on my wishlist! As always another beautiful collection. This one is so classic. It would be beautiful with some traditional holiday photos! Love the numbers paper and the snowflakes paper! Mistletoe has to be my favorite! This is such a beautiful, elegant collection. I would LOVE to win this!! Thank you for the chance.